Nick Marino reviews the new Injustice: Gods Among Us mobile game released yesterday for iPad, iPhone, and iPod. Using non-gameplay screencaps and gameplay screencaps, Nick recaps his Injustice mobile experience, from the game’s rhythm to its character options to its in-game store to its super meter system. With high quality graphics and an easy-to-learn controls, the Injustice mobile game has wide appeal. But the repetitious nature of the opponents, backgrounds, and fighting styles can make the gameplay monotonous. 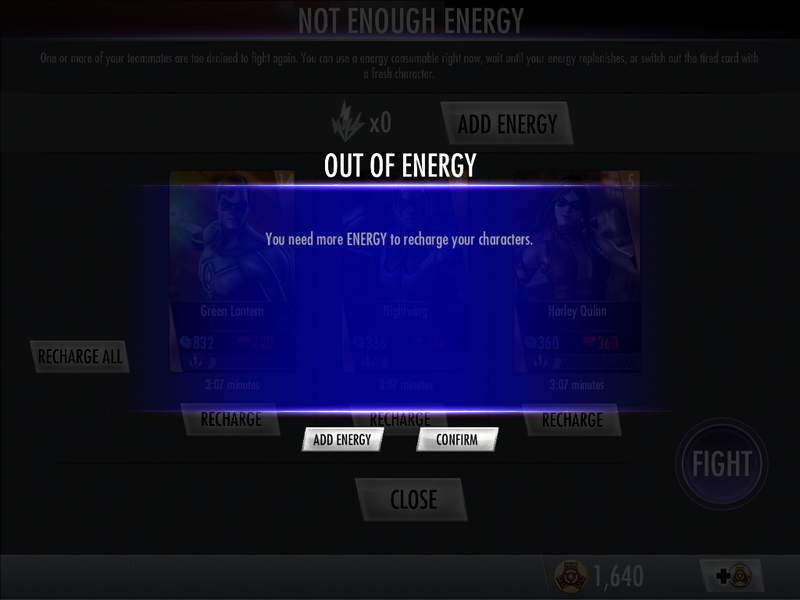 Nick also explains how his superhero playtime was cut short by the game’s energy system, which limits the amount of matches you can play while generating income for NetherRealm and Warner Bros from this free-to-download (but not always free to play!) touchscreen fighting game. This entry was posted in AudioShocker, Comic Podcasts and tagged dc comics, HyperComboCast, Injustice: Gods Among Us, Superheroes by AudioShocker. Bookmark the permalink.